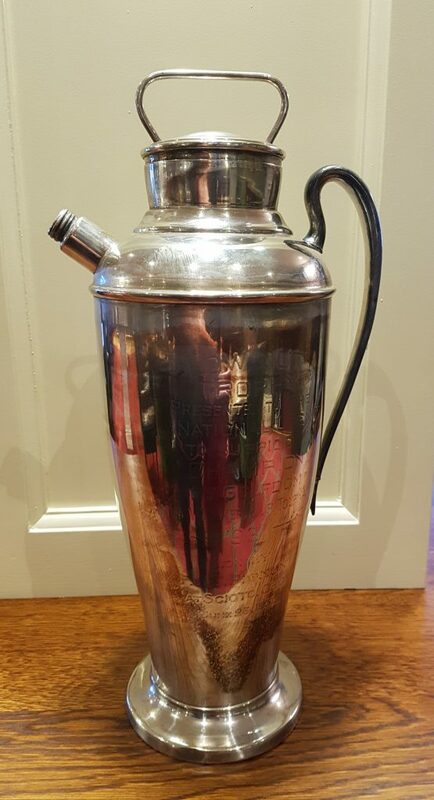 The Fred Pignon Trophy – The AGWs oldest trophy and first presented in 1961. Patricia Davies created AGW golfing history to become the first member to win four AGW Golf Writers Championship titles. Patricia best tamed the 40 mph winds lashing the famed Royal Liverpool course the capture the 2018 staging of the AGW Golf Writers Championship on Tuesday October 23rd. 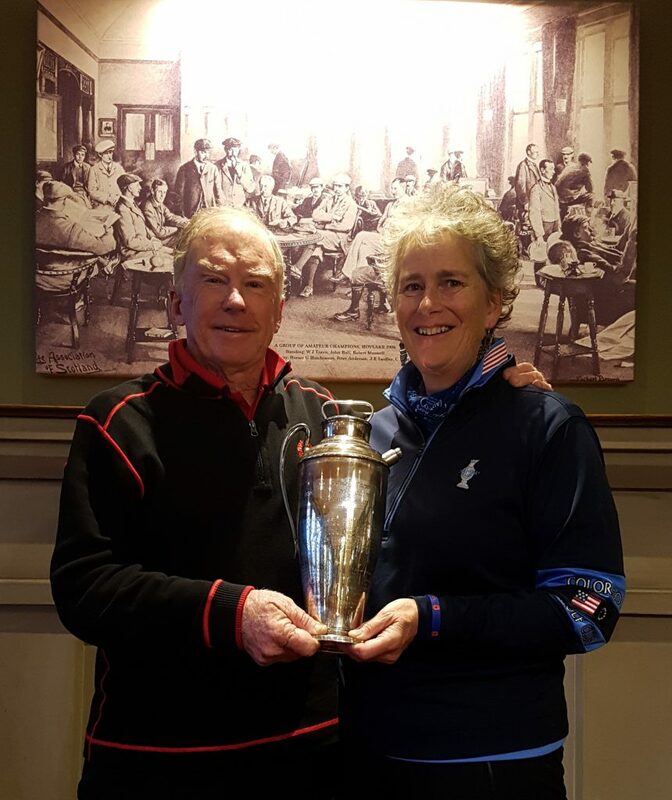 Patricia had first won the coveted Fred Pignon trophy in 1991 and then successfully defended her title a year later and then won for a third occasion in 2002 and now 16-years later Patricia has become the first AGW member since the event was first contested in 1960 to win four times. Patricia, playing off a handicap of 13, scored on all but two holes in incredibly testing conditions producing an outward nine of 11 Stableford points and then over her inward nine she par both the par-5s and grabbed four points over the closing two holes with bogey 5s. Her score denied Adam Lanigan and Derek Lawrenson who had been out in the very first group to finish each with 24 points and were talking of a play-off for the title until Patricia handed-in her scorecard. Adam and Derek capped their rounds with birdies and each at the par-3 13th. Richard Turner was fourth with 22 points while Rob Perkins, and now playing off a handicap of 8 following his Michael Williams Hogget triumph, recorded 18 points to be tied with Andy Farrell and with AGW Chairman, Iain Carter recorded 17 points. Joining the group as they had done a day earlier was Nick Peake, and brother to Trevor Peake, along with ETIQUS Gary Butler. And a special thank you to Gary for his gift of golf balls to all those teeing-up and then not only donating a handful of umbrellas as prizes and also very graciously agreeing to collect the tabs for post-round drinks. The AGW is also very grateful again to Simon Newland, Secretary at Royal Liverpool GC in again hosting the AGW and all those at the club for the very warm welcome on one of the most testing golf days to greet members for man a year.